Are you on a local Street Angel or Street Pastors team in your area? The Welfare Team is looking for mature, sensitive and experienced people who can help look after some of our guests we have on-site. As part of the Welfare Team, you will be working alongside the Safeguarding Team. 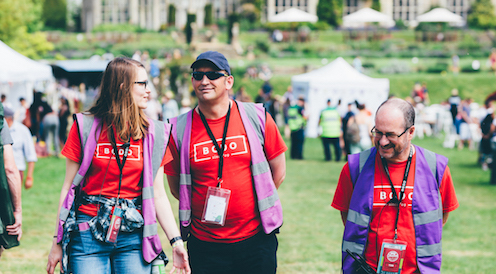 Your role will be to support and help vulnerable adults and young people whilst they're at the event. You will have to deal with different issues and enquires as they occur around site. You will need to have patience and people skills to handle different situations and follow them through to a resolution. Ideally, you will need to have experience of a similar role in a church or work setting and be able to prove that you can follow procedure and best practice. You will need to be able to provide two referees from a relevant church or work setting and may have to undergo an enhanced DBS check. What days do I need to work? The Welfare Team runs on Friday - Sunday, as soon as the public are allowed on-site. You'll work around 8 hours each day, covering 8am to 12am. You will only need to choose two days to work out of the three. 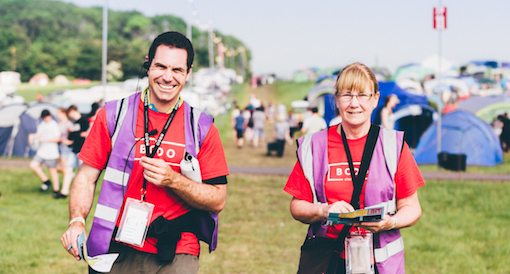 You will need to be on-site no later than 8.30pm the night before your first shift. You will need to attend a briefing before you start your shift. Timings of these will be roughly 9.00am or 8.30pm everyday.